Who knew that the 2012 film, Student of the Year, has the potential to spawn a sequel? That, too, a spiritual sequel and not actually taking the story of the characters forward. But here we are after seven years, talking about the first trailer of Student of the Year 2. The new batch of students includes Tiger Shroff and debutantes Ananya Pandey and Tara Sutaria. Aditya Seal playing a supporting role. The first trailer, that dropped today, shows us that the new batchmates are more glamorous and more studious...Okay, just more glamorous, maybe. Every actor has an amazing screen presence, it is easy to tell from the trailer. But unfortunately it looks like a repeat of SOTY with a new cast. Student of the Year 2 has been directed by Punit Malhotra, who has made movies like Gori Tere Pyaar Mein and I Hate Luv Storys for Dharma Productions in the past. Glitzy romantic comedies seem to be his groove, and Student of the Year 2 fist perfectly in his chronology of films. 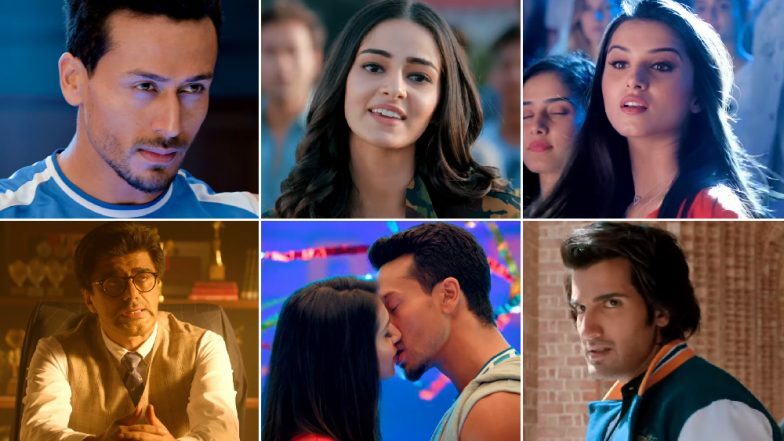 Student of The Year 2: Alia Bhatt to Shoot a Special Song for Tiger Shroff, Ananya Panday and Tara Sutaria Starrer - Read Deets. The first footage of SOTY 2 is ample in hot body shots of the three actors. It is only going to make you wish you looked like that in college. That is sort of the essence of the movie - just how good it is in terms of looks. You surely would want to take a break from the dullness of real life and immerse yourself in the OTT beautification and romanticisation of everything with SOTY 2. No judgements here. It is a Dharma Productions film after all. Student of the Year 2, co-produced by original director Karan Johar, is slated to release on May 10, 2019. Hollywood actor Will Smith appears in a cameo in the film. Reports also suggest that original scholars Alia Bhatt, Varun Dhawan and Sidharth Malhotra will also reprise their roles for a brief appearance in the movie. Though, this has not been hinted in the new trailer.